Azure Cosmos DB is Microsoft's globally distributed, multi-model database service for mission-critical workloads. Azure Cosmos DB provides turnkey global distribution with unlimited endpoint scalability, elastic scaling of throughput (at multiple granularities, e.g., database, key-space, tables and collections) and storage worldwide, single-digit millisecond latencies at the 99th percentile, five well-defined consistency models, and guaranteed high availability, all backed by the industry-leading comprehensive SLAs. Azure Cosmos DB automatically indexes all data without requiring developers to deal with schema or index management. It is a multi-model service, which natively supports document, key-value, graph, and column-family data models. As a natively born in the cloud service, Cosmos DB is carefully engineered with multitenancy and global distribution from the ground up. As a foundational service in Azure, Cosmos DB is ubiquitous, running in all public regions, DoD and sovereign clouds, with industry-leading compliance certification list, enterprise grade security – all without any extra cost. 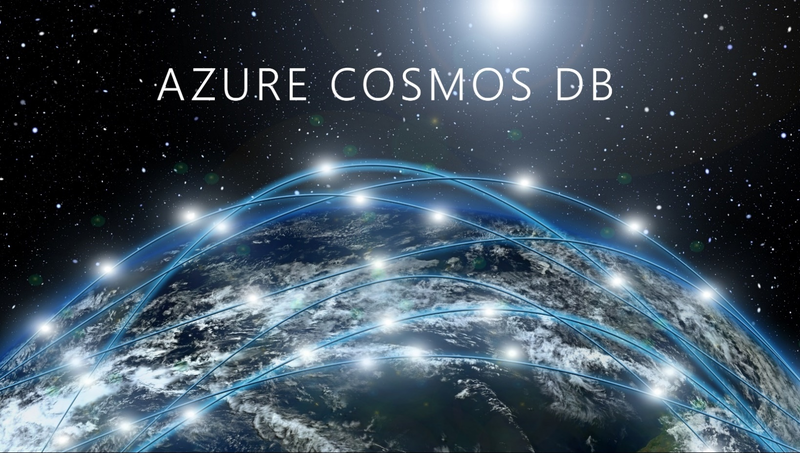 Cosmos DB’s unique approach of providing wire protocol compatible APIs for the popular open source-databases ensures that you can continue to use Azure Cosmos DB in a cloud-agnostic manner while still leveraging a robust database platform natively designed for the cloud. You get the flexibility to run your Cassandra, Gremlin, MongoDB apps fully managed with no vendor lock-in. While Azure Cosmos DB exposes APIs for the popular open source databases, it does not rely on the implementations of those databases for realizing the semantics of the corresponding APIs. At Ignite 2018, we are bringing decades of distributed systems research to make Cosmos DB the database which helps Microsoft realize its Intelligent-Cloud-Intelligent Edge vision. With Azure Cosmos DB, we have harvested decades of distributed systems research, married with rigorous engineering and operationalized it at massive scale that you can learn more about in this technical blog. 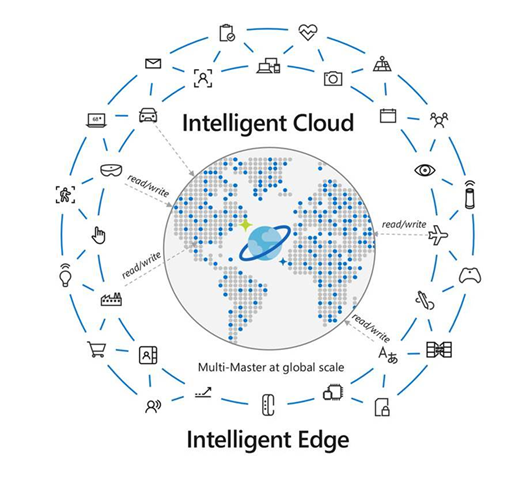 The new Cosmos DB capabilities which we are announcing at Ignite 2018 is a crucial step towards enabling anyone to easily build globally distributed apps for the Intelligent-Cloud-Intelligent Edge era. 99.999% write availability, all around the world. Azure Cosmos DB offers 99.999% write availability (in addition to 99.999% read availability) around the world, backed by the industry-leading SLAs. Multi-master capabilities for all APIs and data models. Azure Cosmos DB’s multi-master replication protocol automatically applies to all APIs the service already exposes. You can continue to use your favorite open source software (OSS) API and toolchain, and now you get multi-master and all capabilities that come with it for your OSS-based apps. For the first time, you can build multi-master MongoDB, multi-master Gremlin (graph) apps within seconds. Read more about multi-master replication here. Guaranteed low latency reads and writes. As a schema-agnostic database, Azure Cosmos DB automatically indexes all your data, so you can perform blazing fast queries. The service offers guaranteed <10 ms latencies at the 99th percentile for near real-time query results. Multiple well-defined consistency models with clear tradeoffs. Writing correct distributed application logic against an eventually consistent database is often difficult. Azure Cosmos DB helps you by providing five well-defined, intuitive and practical consistency levels, each with a clear trade-off between desired consistency and performance, guaranteed correctness and backed by SLAs. You can now choose from multiple consistency models and can configure them any time and change on a per request basis. Secure, compliant and enterprise-ready, by default. Azure Cosmos DB is secure, compliant and enterprise-ready service for mission-critical apps. Azure Cosmos DB has met the stringent compliance standards including ISO 27001, ISO 27018, EUMC, PCI DSS, SOC 1,2,3, HIPAA/HITECH and other compliance certifications. Azure Cosmos DB also provides encryption at rest and in motion, IP firewall and audit log for your database activities, VNET (service endpoint) support to ensure demanding security standards of enterprises. Backed by industry leading, comprehensive SLAs. Azure Cosmos DB provides industry-leading, comprehensive SLAs for 99.99% high availability for single region and 99.999% read and write availability at global scale, consistency, throughput and low latency reads and writes at the 99th percentile. Users do not need to worry about operational overheads and tuning many dozens of configuration options to get good performance. Azure Cosmos DB takes away the worry of managing all these issues and lets you focus on your application logic instead. Easy migration of NoSQL workloads to cloud. Azure Cosmos DB also makes it easy to migrate your NoSQL data workloads to Cosmos DB and benefit from the cloud-native database and the benefits it provides instantly. 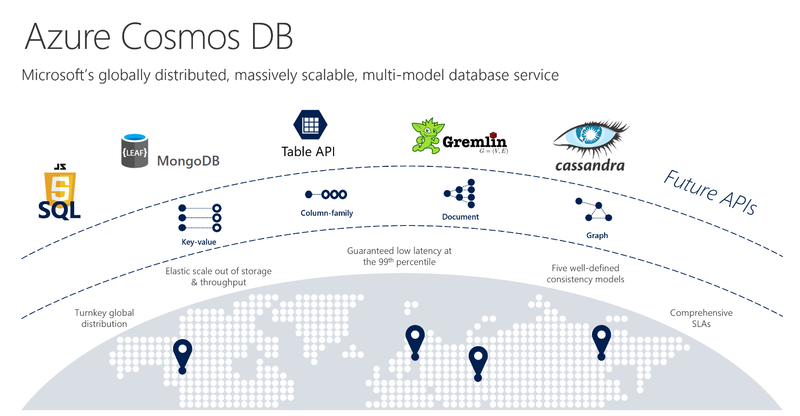 Read more about Azure Cosmos DB Cassandra API here. 5x lower minimum entry point for database-level provisioned throughput offer: We are happy to announce 5x lower minimum entry point for database-level provisioned throughput. In addition to being able to provision throughput for a Cosmos DB container (which could be a collection, a table or a graph – depending on the data model and API you are using) either programmatically or via Azure portal. Now, you can also configure throughput on your Cosmos DB database. Provisioning throughput on a Cosmos DB database, allows you to share the throughput among all the containers that belong to that database. This allows you to “pool” the provisioned throughput across a set of containers within a Cosmos DB database. In fact, within a given Cosmos DB database, you can mix and match containers which “share” the throughput among themselves as well as specific containers which have been assigned dedicated throughput. By provisioning throughput at different granularities (e.g., containers and databases), you can now better optimize your costs based on your workloads’ characteristics. If your container or a database are distributed across multiple regions, then the throughput you configure on the container or the database is guaranteed to be made available across all regions. Now it becomes even 5x less expensive to start with the database level offer. Read more about provisioning throughput at database level here. Reserved capacity for Azure Cosmos DB: Azure Cosmos DB Reserved Capacity is now generally available for customers worldwide, effective today. Reserved capacity enables you to reserve provisioned throughput in Cosmos DB on a one-or three-year term and provide up to 65% cost savings versus pay-as-you-go prices. Azure Cosmos DB reserved capacity gives you price predictability and helps improve your budgeting and forecasting. Read more about reserved capacity and the cost savings you can achieve in this blog and in the documentation. Even stronger SLAs: We are proud to announce even stronger SLAs for Cosmos DB. Cosmos DB is the only database service in the market which offers comprehensive five 9 SLAs encompassing consistency, latency, throughput and availability. Starting today, we are updating our SLA page – with five nines write availability (in addition to five nines read availability) for multi-regional databases and a single digit millisecond write latency at the 99th percentile anywhere in the world. Read our latest SLA page here. New features and improvements for developers: We are very excited to announce new features and improvements for developers. 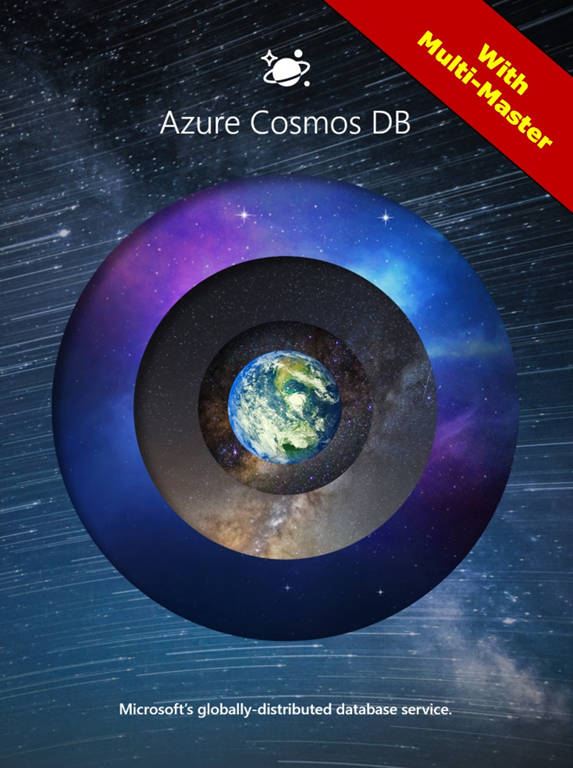 You can now try Azure Cosmos DB for free for an entire month! We have extended the popular Try Cosmos DB for Free experience to 30 days (which you can always renew). This experience allows you to evaluate Azure Cosmos DB’s capabilities for free for 30 days, no Azure subscription or credit required. Get started with Try Azure Cosmos DB for free today. Other improvements we are bringing to developers include SDK updates to support multi-region writes, Cosmos Explorer, Portal UX updates with recommendations and Cosmos DB Local version (Emulator) support for all APIs and Azure DevOps build task. Read more about these features here. It is deeply heartening for us to see the growth of the service. We are very grateful to our customers who have relied on Azure Cosmos DB to build their mission-critical apps, pushed the limits of the service and always demanded the best. Some of the world's largest internet-scale businesses such as Siemens, ASOS, Citrix, Jet.com, Dominos, Kohler, Crestron and countless other enterprises depend on Cosmos DB for their mission-critical workloads. Within Microsoft, Cosmos DB has become ubiquitous - Microsoft’s own mission critical applications and services including LinkedIn, Skype, XBOX, Active Directory, Azure Portal, Office 365, Bing, Universal Store and countless others all rely on Cosmos DB for managing their data globally, at scale. Dr. Youngchoon Park, VP, Platform and Data Science. "ServiceLink/FNF provides digital mortgage services to some of the largest lenders in the country, and EXOS is the name of our Azure based digital platform that serves as the underpinning for various mortgage products we offer in the market. As part of the EXOS platform, for the customer facing mobile component and all the data that we leverage to run real-time algorithms, we had to choose a database with extreme low latency and high scalability to provide a sub second response to the end user. Our Uber like Vendor mobile app and the Consumer mobile app leverages micro-service based architecture to run complex algorithms and present data to the mobile users in less than a second, and Cosmos DB is at the core of this architecture. Our end user response times have come down from around 6-8 seconds prior to leveraging Cosmos DB to less than 1 second, and our TCO has come down significantly since we started leveraging Cosmos DB." We are committed to making Azure Cosmos DB the best globally distributed database for all businesses and modern applications. With the new capabilities which we are announcing at Ignite 2018, we believe that you will be able to write amazingly powerful, intelligent, modern apps. We want to help you to truly transform the world through the apps you build on Azure Cosmos DB.